For a less obvious and different Japan experience, make sure you visit Osaka. The country’s third city is far from Tokyo in every sense, and we think it’s well worth the visit. 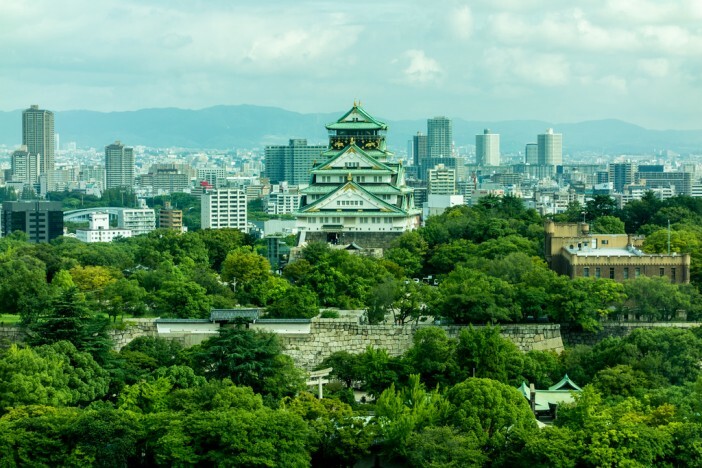 Find out more about Osaka in our quick guide – or head on over to our Japan cruise deals page to see the best trips lined up for 2015. On paper, Osaka might not look all that glamorous – it’s the country’s financial centre, and after being bombed extensively during World War II, it has never quite achieved the architectural beauty of Tokyo and other major Japanese. So what makes it a great place to visit? This is a place full of subtle delights – give it the time and it might just become one of your favourite global cities. Osaka is particularly known for its food, which isn’t always cheap, but is always delicious. Try okonomiyaki, a traditional dish that is half-way between a pancake and an omelette with meat, seafood or noodles. You might also enjoy takoyaki, fried octopus balls that are often sold as street food. And it’s a great city to walk around, too. For such a big city, Osaka has its fair share of cozy alleys. Or in the centre of the city at night you’ll see some of the bright lights you’d expect in Tokyo. Osaka is also a great place for shopping – from Denden Town (where you’ll find all the cool electronics) to Amerikamura (vintage wear) and Shinsaibashi (luxury boutiques). Other highlights include the Kaiyukan Aquarium in Tempozan Harbour Village, where you can see giant sharks swimming around you; the Umeda Sky Building, offering breathtaking views over the city; and Spa World, Osaka’s attempt at creating a range of European-style spa baths (you’ll also find a gym, amusement pool and restaurant here). You’ll find some of the latest Osaka cruises on our Japan cruise deals page. Or visit the homepage and use our simple search tool to find something that fits your budget and timeframe. We update these deals regularly, so don’t worry if you can’t find anything – just check back in a few weeks’ time. After a flight from Australia, you’ll start your cruise at Tokyo. You’ll then visit Osaka, Xiamen, Hong Kong Ocean Terminal, Nha Trang, Phu My and Singapore Harbour Front, before returning by flight to Australia.